Enter to Win $10 Amazon Gift card! Fill out the form below to enter (it may take a few moments to load)! Please note you must receive Coupons and Freebies Mom Daily Emails to enter. Sign up for free emails here if you haven’t yet, and then enter below! CLICK HERE TO SIGN UP FOR FREE DAILY EMAILS! Giveaway ends on January 17, 2018 at 11:00 pm Central Time. After you have entered to win an Amazon Gift Card above, enter these other great giveaways below! 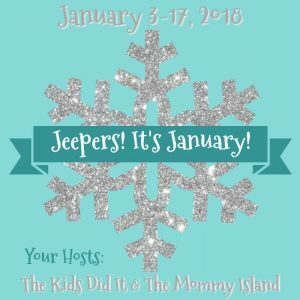 Thanks to The Mommy Island & The Kids Did It for hosting these giveaways and giveaway hop! Happy New Year. Thanks for the giveaway chance. The Savings in Seconds blog sent me here today!